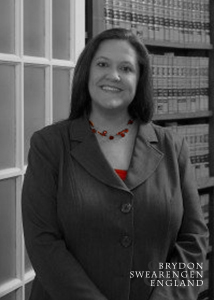 Diana (Farr) Carter has a general civil and administrative law practice, as well as an appellate practice. She represents individuals, businesses, and municipalities throughout the state of Missouri. Ms. Carter has appeared before the Employment Security Division, the United States Bankruptcy Court, the United States District Courts for the Western and Eastern Districts of Missouri, the Eighth Circuit Court of Appeals, numerous mid-Missouri Circuit Courts, the Western District Court of Appeals, the Southern District Court of Appeals, and the Missouri Supreme Court. Ms. Carter handles transactional matters (such as business formation and the drafting of contracts), civil litigation matters (such as serving as legal representation for a party to a lawsuit or on appeal in state or federal court), and administrative matters (such as representing a licensee in dealings with the Missouri Department of Insurance or representing a public utility before the Missouri Public Service Commission). Ms. Carter lives in Columbia, MO with her husband and their daughter. If you are looking to start a new business in mid-Missouri, or if you have any other legal need, please contact Ms. Carter at 573-635-7166 or by e-mail at DCarter@BrydonLaw.com. Ms. Carter is a member of the Missouri Bar, the Boone County Bar Association, and the Cole County Bar Association. She is a graduate of Missouri State University and the University of Missouri – Columbia, School of Law.